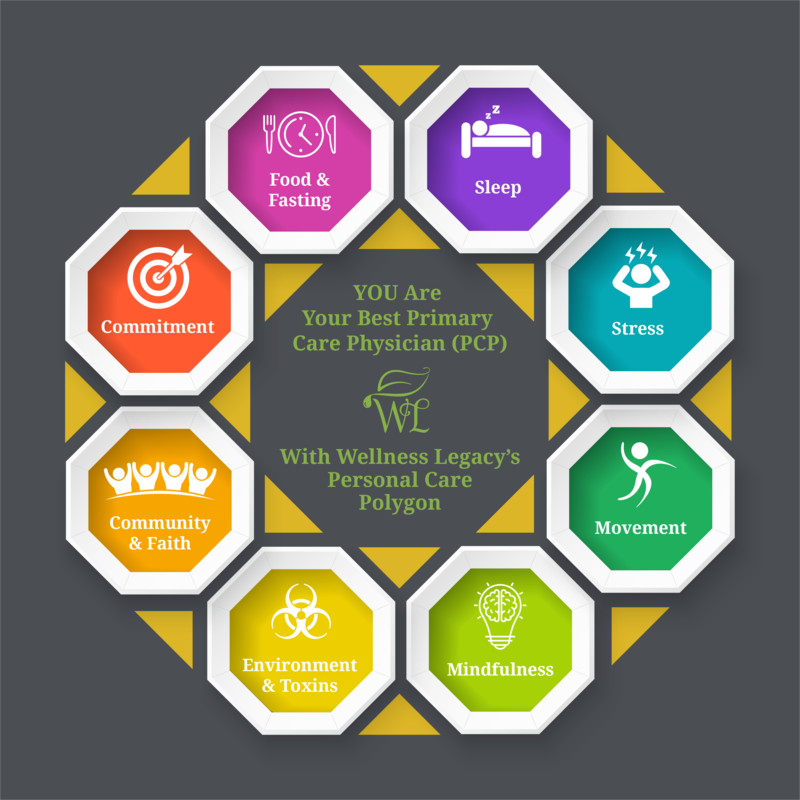 Personal Care Polygon (PCP) - You are your best Primary Care Physician! At Wellness Legacy we believe that getting the most out of your experience with Young Living products requires a holistic approach to wellness that covers eight major categories of personal care. Everyone is unique and we can help you identify which area of personal care would be best to tackle first to move you closer to health and wellbeing. Young Living products (essential oils, household products, beauty care, targeted nutritionals) combined with on-going education, coaching and community with the Wellness Legacy team is a powerful combination! Our Personal Care Polygon™, pictured below, shows the eight categories of personal care. You can click each topic to read Wellness Legacy Blog posts tagged to that area of focus. We are regularly adding new content to keep you up-to-date on the latest ways to improve your personal Wellness Legacy!